Imprinted, Let’s Gel Digital, and Monoprinting Makeover, as well as a link to view all my youtube videos easily and any new classes I will be adding in the future. This is easy to access and you can register as a student without having to purchase a class. You will then get your own login and password and will get notifications on any new classes and special coupons or sales that may be only available to students. Monoprinting Makeover has myself and 5 guest teachers. We show you how to do various methods of gel printing then how to makeover your printing failures! Let’s Gel Digital is all about using your gel prints digitally on the iPad! Imprinted is my first online solo course, dedicated to all things Gelatin Monoprinting! If you are a current enrolled student of “Imprinted” or “Let’s Gel Digital” you will still be able to access the classroom here on this website using the password I sent out to you when you enrolled. Any new students should head on over to Lucy’s Art Lab to enroll! Guest teacher classes are pictured below: Clicking on them will take you to the sign up and information on the host teachers website. By clicking through my link you help to support me as a paid artist, as that is the way we get our affiliate sales fees. Thank you! 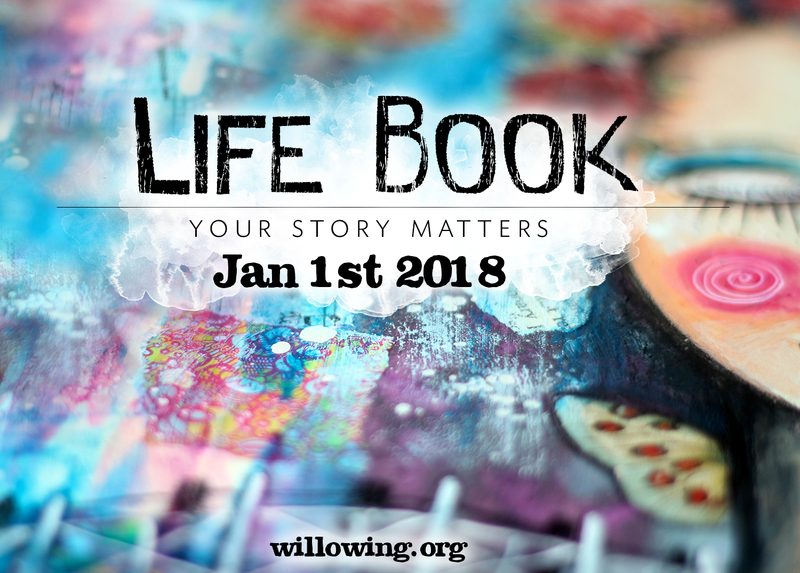 The Lifebook creativity and wellbeing summit is a FREE event hosted by Tamara Laporte in the first two weeks of October! The Creative Retreat free weekend is now over but you can still sign up for the ongoing lessons! Hi Lucy I am looking forward to the course! I loved your Gelli Printing Course so much I’m really looking forward to this Ipad course, a little Christmas treat for me! I have paid or two of your courses and through a computer problem ave lost the passwords sign on to the lessons. Is there any way you can get them to me again? Thanks for any assistance you can give me. Do I have to buy an iPad to follow the Let’s Gel Digital course? Isn’t it possible with a PC or Android? Hi there! The lessons follow how to make art on your iPad using gel prints. I use programmes such as procreate which is only available on the iPad. Of course, it’s up to you, if you wanted to follow the lessons exactly you’d need access to an iPad. If you wanted to use the ideas to make digital art using photoshop or android applications you could but bear in mind the steps would differ slightly and I don’t show them that way in the lessons, although you could easily do very similar things on pc in photoshop or android programmes if you knew how to use them yourself. Hope that helps! I am a beginner watercolorist. I seem to have trouble with the paper buckling. Do you prepare your paper first. I have watched several online blogs and they don’t address the issue. Thanks. Lucy – I am currently working through Imprinted. I didn’t receive a password to the classroom when I enrolled last week. Was I supposed to? I wondered that perhaps as the class was no longer “live” I wouldn’t, but it seems from your website that I should have. The course is beyond amazing. I have taken many online courses, quite a few specifically on gel printing, and none come close to yours for the quality and quantity of beautifully presented and incredibly useful instruction. Lucy, I enrolled in Imprinted last week and did not receive a classroom password. Is this because the course is no longer live? The course is incredibly, the best I have ever taken on gel printing. The quality and quantity of beautifully presented and useful instruction is amazing. Lucy, I found it! Fantastic, thank you so much. I’m going to love this course… although I work full-time too so I’ll be slow. Thank you again!